When an email dropped into my Inbox last November from the Manx Department of Economic Development inviting ‘expressions of interest’ from anyone “suitably qualified” to provide a service at the Isle of Man TT I didn’t pay it much heed. Like a lot of people, I almost overlooked the most significant development in recent road racing history. Eventually it became clear the DED wasn’t just attempting to offload a few bits and pieces of TT commerce; it was actually trying to find someone to run almost every part of the 108-year-old race meeting. Apart from retaining control of the management of the opening and closing of roads, ensuring that the required medical facilities are in place and overseeing the policing the event the Manx administration is offering pretty much every other part of the TT for hire. The successful applicant in the leasing process that is now underway will manage all of the commercial rights of the event including raising sponsorship, selling the television rights, controlling ticketing, organising hospitality and overseeing all of the licensing of the TT brand. Most significantly, the new organiser will also choose who runs the race and manage all of the deals with the teams and riders. In short, the Isle of Man Government is privatising the TT. More than a dozen organisations have already declared their interest in taking on the task of running the world’s most famous road race. The next stage is weeding out the serious contenders from the hopefuls over the summer months. By the end of the year the new promoter will be in place. This new organisation will shadow the current organisers at TT 2016 before taking total control in 2017. It will signal a major change for Paul Phillips, under whose tutelage the TT has experienced a renaissance in recent years. Whether Phillips will continue to have a role in the running of the TT or if the ACU Events company will still be running the races with Gary Thompson as Clerk of the Course under the new promoter remains to be seen. There have been complaints that the TT has already become too commercialised during the recent modernisation and there will be those who will question the probity of this new move for the TT to be run completely on a for profit basis. But the privatisation deal offers a great opportunity for the event’s further development. 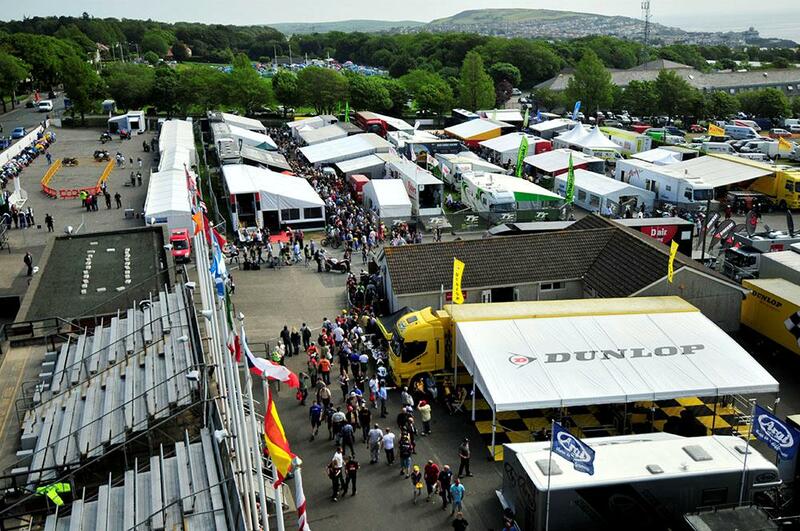 Apart from being the world’s biggest road race the TT is a huge commercial enterprise. Run by the Isle of Man government up until now, investment in the TT has always been subject to the political pressures of keeping taxpayers’ happy. Money spent on the races isn’t money spent on hospitals and schools. A private promoter will be able to speculate to accumulate with no such restrictions other than making enough profit to keep the shareholders happy. Although some will view this with suspicion, it offers the opportunity for new investment to be directed towards attracting top riders from other disciplines to the TT and improving safety features around the Mountain course. Infrastructure in areas such as grandstands, medical facilities and the paddock can be provided with funding for new development. New marketing initiatives can be funded to widen the appeal of the event. It will be in the interests of the new investor, who will be tied into the TT by at least a ten-year contract, to drive such improvements forward. There are precedents for a move such as this, with the obvious one being the FIM’s leasing of the commercial and television rights of the MotoGP series to Dorna. The Manx government will, like the FIM, have safeguards written into the contract to protect the TT brand. But he who pays the piper calls the tune as the saying goes and Dorna now enjoys almost total control over the MotoGP rulebook, a significant shift from how things were originally envisaged. Taking on the running of the TT will require a massive initial financial outlay for any potential promoter. The deal is unlikely to offer a quick buck and there are also significant risks. Costs are guaranteed to rise whilst income is always going to be impacted by the small island’s limited travel and accommodation capacity. But potential investors are more likely to be attracted by the thinking that draws parallels between the TT and a huge football club like Manchester United. United’s Old Trafford stadium only holds about 75,000 fans but millions of people worldwide support the team, creating a huge global market that has seen the club become a magnet for investors. The hoped for scenario is that the new promoter will continue to build and capitalise on the TT’s global brand whilst investing in the event to maintain the quality of the racing and the TT experience. The Isle of Man government can then reap the economic benefits of the event’s continued success, without the headache of constantly trying to balance the budget. With the proposed TT World Series and the fledgling Classic TT also included alongside the TT races in the list of events that any new promoter will be required to take on, only those with huge financial clout and a strong business vision will have their pitches considered. Given the rude health that the TT currently enjoys, there will be no shortage of bidders.